A healthy serving of protein is often the key to staying fuller for longer. So what kind of protein should you include in your diet? Nutritionist Lisa Guy has rounded up the 20 best sources of protein around to get you started. 85g of cooked salmon contains 19g of protein. It also provides high levels of healthy omega-3 essential fatty acids and good levels of iodine, needed for healthy brain and thyroid function. 85g breast of roast chicken contains 26g of protein, along with zinc to help support immune function. 85g breast of turkey contains 26g of protein, including the amino acid tryptophan to help you sleep. 85g of cooked lamb provides 23g of protein, and is one of the best sources of haem-iron to help boost red blood cell production and support healthy energy levels. 85g of cooked pork contains 16g of protein, and is a good source of thiamin, a B vitamin that plays a major role in carbohydrate, protein and fat metabolism. 6 medium prawns (36g) provide 6g of protein, along with a good dose of iodine, needed for the production of thyroid hormones. 100g (1/2 cup) of cooked lentils provide 9g of protein, making them an excellent vegetarian source of amino acids. They also boost high levels of dietary fibre to support healthy cholesterol levels, and iron to transport oxygen around the body. 1 tsp (5g) of spirulina powder contains 2.2g protein. Weight for weight spirulina contains a lot more protein than fish, meat and poultry. This super food makes a particularly great addition to vegan and vegetarian diets. It is also an excellent source of iron, which is beneficial for preventing iron deficiency and anemia, which is very common in women and children. 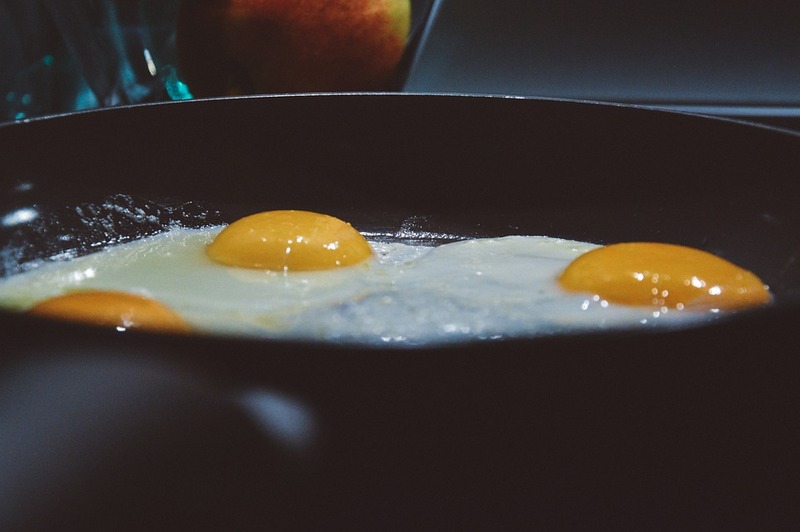 1 large egg has 6g of protein, and is a great source of vitamin D, which is important for bone health and prevention of chronic diseases such as cancer and cardiovascular disease. ½ cup (126g) of hard tofu contains 20g of protein, and B vitamins to help boost energy production in the body. 28g of almonds contain 6g of protein, and heart healthy unsaturated fats and calcium for strong healthy bones. 28g of sunflower seeds provides 6g of protein, and are a very good vegetarian source of zinc, which is essential for reproductive health, especially in men for optimal sperm health. 25g (3 heap dessert spoons) of brown rice protein powder provides 20g of protein, 25g of pea protein powder provides 20.5g of protein, and 25g of whey based protein powder provides 17.5 g of protein. Protein powders are an easy way to increase your daily protein intake by adding them to smoothies and breakfast cereals. 1 cup of plain full-fat yoghurt contains 9g of protein, and is an excellent source of beneficial bacteria to help boost digestion and immune health. 1 slice of cheddar cheese provides 7g of protein, along with calcium, and vitamin D for strong healthy bones. 1 cup of low-fat milk provides 8g of protein, together with a good serving of bone-building calcium and vitamin D.
1 cup contains 8g of protein, with plenty of dietary fibre for good bowel health and zinc which is needed for wound healing and healthy skin. This seed makes a fantastic protein-rich alternative to grains. 1 cup of plain kefir contains 11g of protein, and plenty of probiotic goodness to help keep a healthy balance of bacteria in the digestive tract. 1 slice (26g) of multi-grain bread contains 3g of protein, and plenty of dietary fibre to help keep you regular, and B vitamins which are vital for nervous system health and for making energy. ½ avocado (100g) has 2g of protein, and high levels of beta-carotene, needed for a strong functioning immune system, and monounsaturated fats which help promote good cardiovascular health and healthy cholesterol levels.